Ballard-Durand Funeral & Cremation Services is White Plains’ most prestigious funeral, cremation, and memorial service provider. Those who turn to us receive highly personalized services delivered with unprecedented attention to detail and the utmost respect. Our service standards, instilled by Arthur Ballard and George Durand, ensure the highest level of care for you and your family. 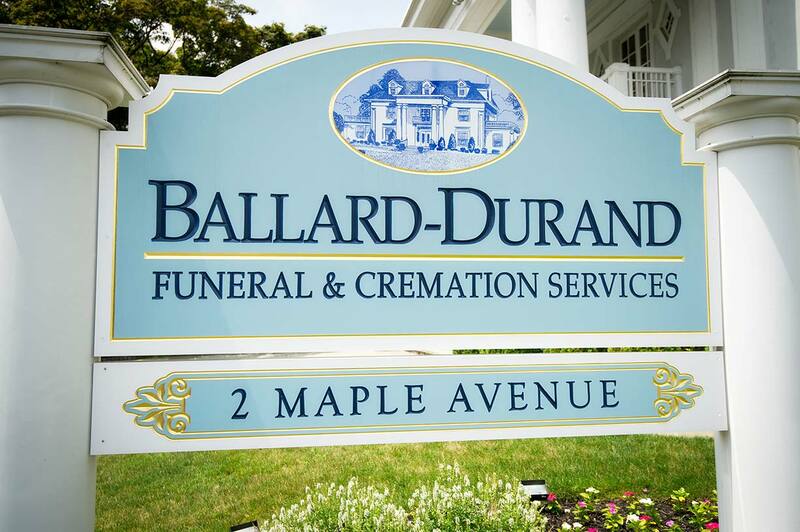 For many years, Ballard-Durand has helped families say farewell to loved ones in a special way. While many of you may remember the high quality of service received or the beauty of our facility, many of you may not be aware of how deep our roots are in this community. A staple in White Plains for over 70 years, the funeral home was founded in New York City in the late 1800’s. In 1930, it was relocated to Cromwell Place. It was relocated again to the corner of Maple Avenue and South Broadway, where it remains today. Once the residence of eminent citizens such as the Honorable Humphrey J. Lynch, the home has since become a historic landmark in the community. The building at 2 Maple Avenue was purchased by Arthur Ballard in 1938. A bit later, George B. Durand became a partner in the firm, and continued to serve families after Mr. Ballard’s death in 1951. Mr. Durand died in 1980 at the age of 73. Today, this century-old heritage is maintained by Matthew J. Fiorillo. With his staff of dedicated funeral professionals, Mr. Fiorillo has maintained a commitment to the community of White Plains with personal attention, competitive pricing, quality merchandise, and premier facilities.